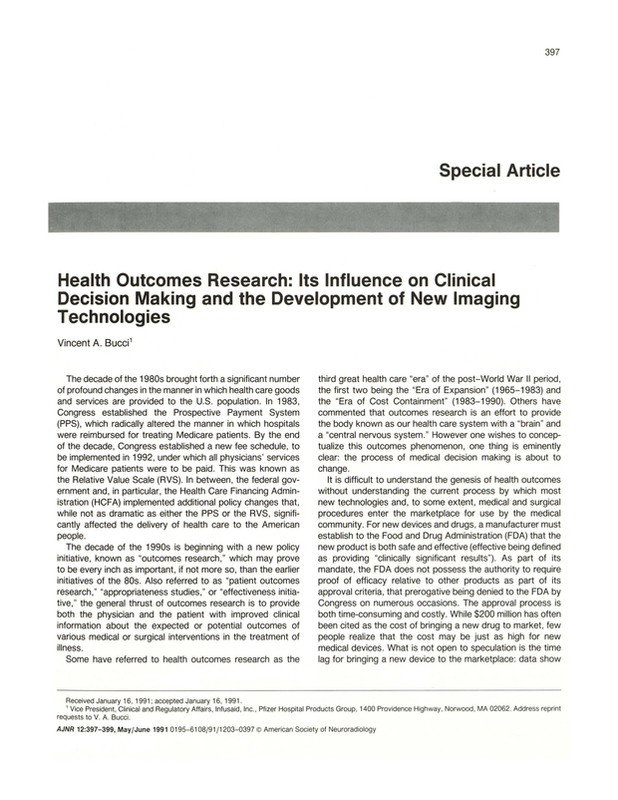 Health outcomes research: its influence on clinical decision making and the development of new imaging technologies. Clinical and Regulatory Affairs, Infusaid, Inc., Pfizer Hospital Products Group, Norwood, MA 02062. You are going to email the following Health outcomes research: its influence on clinical decision making and the development of new imaging technologies.